Our kids are all adults now and thankfully fully supporting themselves. Trust me, I checked that “raise the kids” item off my life’s “to do” list with a tear in my eye! Now, although they are all out of our home, this doesn’t mean we don’t want to keep in touch. We’re still family, after all. To my surprise, however, trying to get ahold of any one of them during these adult years has turned out to be more of a challenge than I thought it would be. While part of me actually likes that, because I can play the game as well, there are times when I can get a little irritated. It seems like our kid’s generation really disapproves of email and voicemail. In fact, several of our kids at various times during their newfound independence even allowed their voicemail box to fill up so no one could ever leave a message. That one used to drive me crazy. Better yet, to this day if my wife or I send an email to any one of them, it may be read within several weeks of receipt; but I assure you that any response, let alone a timely response, is quite the rarity. Don’t get me wrong, it’s all good in terms of our relationships with our kids. They just prefer to communicate in different ways than we older folks do. Yes, it took a few years; but we’ve come to learn that if we really need to talk with one of them, texting is the way to go. Most of our texts are answered quickly and sometimes they’ll even accept a call in response to a text. We’ve been trained well. Now, as I sit here writing about our kids, I also hear in my head my wife saying, Mark, what’s your point? Well, my point is this. As tech continues to change our world at a seemingly ever-increasing pace, communication practices and preferences have been changing as well. I suspect our experiences with our own kids are not unique. Their generation’s use of texting is just one example of the change in how people prefer to communicate as a result of tech advances. Change has consequences, however, and that’s what I really want to discuss. Texting is ubiquitous in our culture, which makes it too easy to embrace that reality by texting day and night regardless of the setting just like everyone else does. The question I’d like to ask is this. Is doing so a good thing, particularly for a lawyer? Remember recent rule changes. Comment 8 to ABA Model Rule 1.1 Competency reminds lawyers that they are to “keep abreast of changes in the law and its practice to include the benefits and risks associated with relevant technology.” If you are communicating with clients via text messaging, have you thought about the ramifications of doing so? My intent is not to suggest that when your lawyer hat is on you should never send a text message. I just want to make sure you’ve thought about the associated benefits and risks before using the tool. Speaking personally, I think a decision to hand out your cell number to clients is a bad idea absent establishing some healthy boundaries upfront. It’s a work/life balance issue for me. I’m not a fan of 24/7 availability because we all need downtime. But think about it, when people send a text they are generally expecting an immediate response, even if it’s after you’ve gone home for the day. Are you prepared and able to manage that expectation? I also get concerned about the informality of text messaging and the fact that it’s often communication on the fly. Texts are typically short and succinct and that’s problematic if texts are being used in furtherance of advising a client or as part of the client’s decision-making process. Compounding the problem is the failure of so many to capture and preserve such exchanges as part of the client file. As I so often remind attorneys, in the context of a malpractice claim or disciplinary matter, if it wasn’t documented, it wasn’t said or it didn’t happen. Do you have the ability to capture and preserve any and all substantive exchanges? If not, I’d seriously limit the use of texting. Do you charge for your time texting clients? I would assume you do. Do your clients know that? Text messaging is a very inefficient way to communicate, again in terms of trying to have some sort of substantive exchange. Allowing clients that option is an inefficient use of your time and can needlessly result in a larger bill than the client might be expecting. Why? It’s simply due to the need to send multiple texts to make sure you have all the information you need as well as to confirm the client has correctly understood the exchange. Is this truly the way you want to communicate with your clientele? 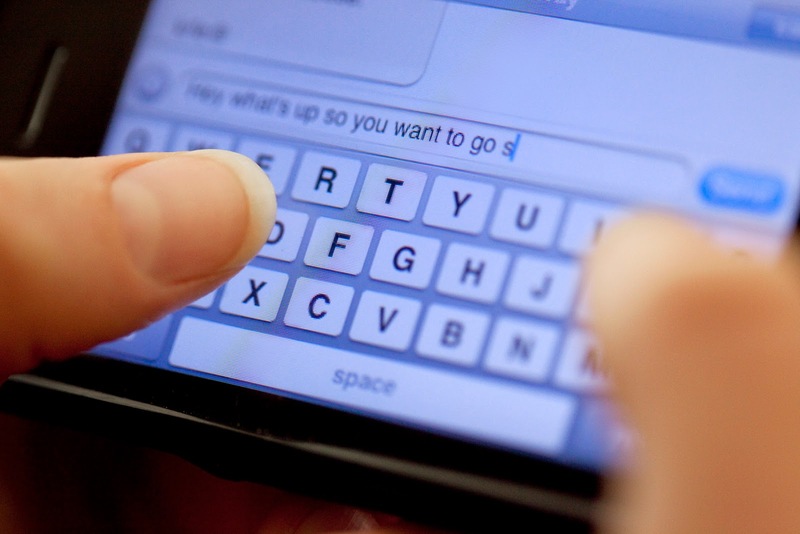 Finally, how do you know if the texts you’re sending will be received by the correct party? We often don’t think about who might have access to the client’s cell phone or even the family computer where text messages can show up. Making matters worse, how would you know that a client has texted you an urgent message when your phone is off simply because you’re in court? They will assume you received it and may rely on that belief in some fashion. Could this be a problem for an attorney? It already has been. Look, I have no problem using text messaging to pass along that there’s been a delay, the courtroom where you were to meet your client has changed, that a voicemail has been left that needs the client’s attention, or that you are now available. Those types of texts seem appropriate for the method of communication. And let’s be honest, while I might choose not to give out my cell number, many of you already have or will. If you count yourself among the group that has or will, keep the above issues in mind and remember this. Just because we can do something, doesn’t mean it’s a good idea. Texting has its place. I’m just hoping to help you define what that place might look like in your own practice so you don’t get caught unawares. This entry was posted in Ethics, Guest Bloggers, Technology and tagged ALPS, Mark Bassingthwaite. Bookmark the permalink. ← What Could Be the Harm in Doing Someone a Favor? Take the Quiz. One thing I recommend – texting the client that you’ve sent them an email for their review. This way you cover our bases. Otherwise, it’s just about confirming appointments or running late or asking if they’ve responded to a document or received information. This way, other than the fact they’ve retained you as a lawyer…nothing confidential is exposed. As to laying down the rules of when to use and when to expect a response – it’s the same as calling the office. Working hours only with the exception of delineated emergencies. I have no problem with clients having my cell phone. They can reach me in an emergency. I don’t have to answer every call or immediately respond to every text. I keep my texts to the clients brief. If they need more they have to call.